Jessica is a Baltimore County resident and has lived in Maryland her entire life. As a graduate of Hereford High School, Jessica attended Carroll Community College. She decided after a year she wanted to enter the working world. 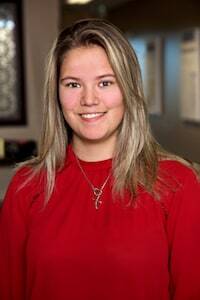 Before joining the Miller and Zois team, Jessica was a full-time martial arts instructor and office manager. She has been training in martial arts since she was a child and has a passion for teaching children. Her job at Miller and Zois has benefited from her office experience at the martial arts school. As the office manager, she was in direct contact with clients and families on a daily basis. Jessica, as our receptionist, makes sure all calls are directed to the correct person. She also helps send out initial requests so we can get each case moving as fast as possible. In her free time, Jessica still teaches at the martial arts school. She also enjoys going to the beach and going on road trips.